With this 7-day tour, go on an enriching trip to Chandigarh and Himachal with your friends or family. Start your journey with a visit to the Rock Gardens and Leisure Valley of Chandigarh and head to Himachal Pradesh. It is one of the most spectacular Northern states of India that beckons tourists from every corner of the globe. Manali, with its quaint beauty and ensnaring charm, is one of the most visited hill stations here. Shimla is yet another tourist hotspot of Himachal that flaunts edifices from the past and lets you witness the peaceful co-existence of nature. Accommodation in 3-Star Hotels with Breakfast. Private Air-Condition Vehicle with English Speaking Driver. Pick and drop at the time of Arrival & Departure. 7 Days Transportation as per tour itinerary. 6 Nights Accommodation with Breakfast in 3-Star Hotels. You will be picked up from Delhi hotel/airport/railway station and will be driven to Chandigarh. Once you reach Chandigarh, check in at the hotel. Later go for sightseeing of Chandigarh. Start from Leisure Valley and proceed to Rock Garden and Sukhna Lake. Spend a comfortable night in Chandigarh. Overnight Stay in 3-Star Hotel. Today after a tasty breakfast, drive to Manali. Upon arrival, check in and later go for sightseeing. Start from the charming Old Manali area and pay a visit to Hadimba Temple, Vashisht Village, Manu Temple and Tibetan Monastery. Stay overnight in 3-Star Hotel. 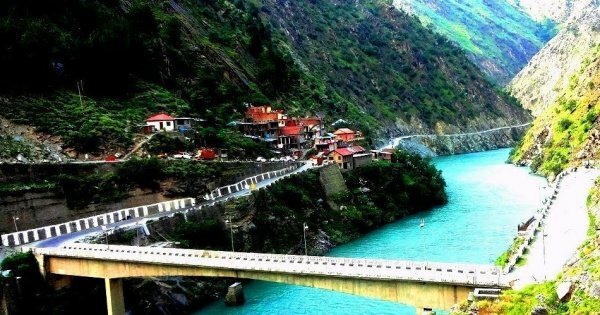 Today after a refreshing breakfast, go for a sightseeing tour of Kullu. Start from the Vaishno Devi Temple and proceed to Kullu Shawl Industry, Kasol Valley, Manikaran Shiv Temple and Gurudwara. Today after a delicious breakfast, drive to Shimla. Upon arrival, check in and stay the night in 3-Star Hotel. Today after a revitalizing breakfast, go for a temple tour. Start from Jakhu Temple and head to Naldehra, Tattapani, Tara Devi, Sankat Mochan and Vaishno Devi Temple. Shop at the bustling market on The Mall Road, and later head to the 3-Star hotel for an overnight stay. Today after a lip-smacking breakfast, you will be transferred to Delhi. 7 Delhi - Sightseeing - Airport Drop. After breakfast, you will go for full day sightseeing tour of Delhi. Starts from Old Delhi, visiting the Raj Ghat - the memorial site where Mahatma Gandhi was cremated; Jama Masjid - the largest mosque in India and the Red Fort. After lunch, you will go New Delhi sightseeing. Starts from Humayun's Tomb, Qutub Minar, a drive along the ceremonial avenue- Lotus temple, India Gate & Birla temple. Later you will be transferred to Delhi Airport for your onward journey. This Tour Includes Free pickup from Your Hotel or Airport Or the place suggested by traveller within New Delhi or Agra. Please mention Pick up details at time of Booking. Extra person will be provide Extra Bed on Same Room. All Accommodation will be on Double/Twin Sharing.